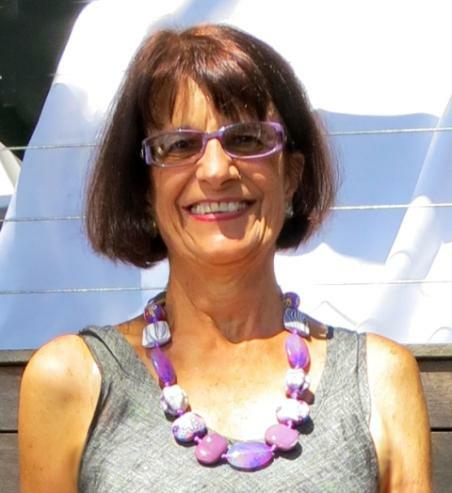 June Lahm studied design at East Sydney Technical College (now the National Art School) leading to a career in Gallery Management in London and Sydney. 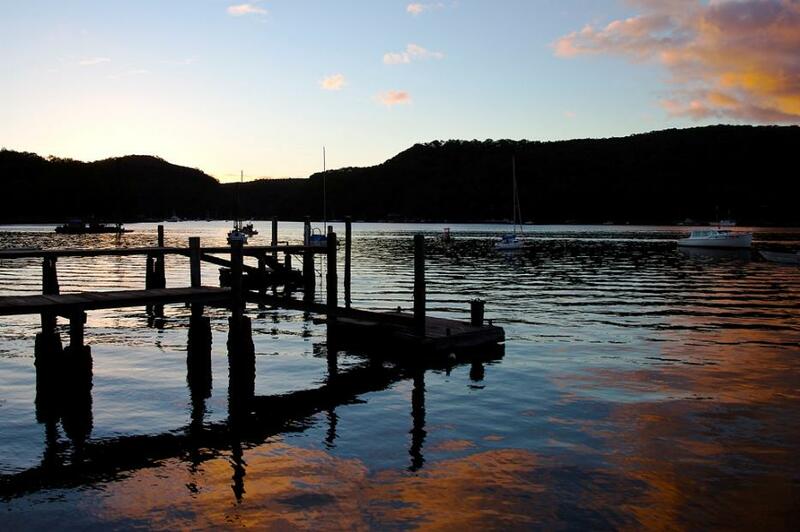 During her childhood she spent many hours “messing about on boats” with her family, both on Pittwater and the Whitsunday Islands and enjoying all the pleasures of a seaside lifestyle. She has lived on Scotland Island since 1976 and followed many creative paths. June’s abiding interest in photography led to her resuming studies to learn the new technology of the digital age, which she describes as “painting with pixels”. Travels to distant shores, especially Italy, are another source of her images, particularly where life on or near the water is an integral part of and defines the community and are a feature of the varied images in her portfolio. It could be Isola di Procida in the Bay of Naples where the fishermen and their colourful nets on the quayside of Corricella are almost an art installation in themselves; the reflections of architectural elements in the canals of Venice; the detritus on sea washed shorelines in Calabria or Sicily. 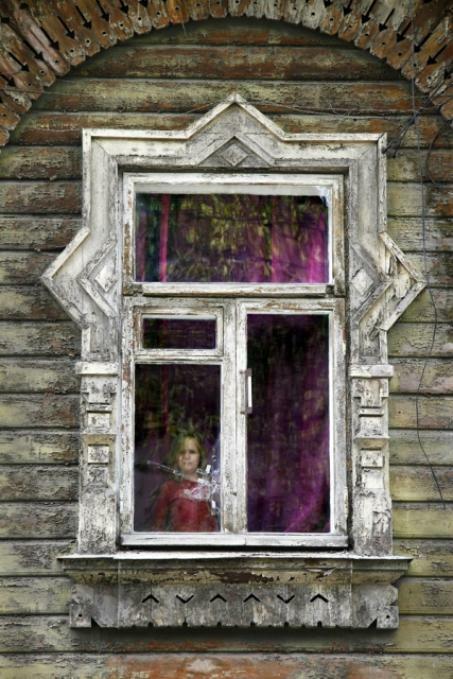 June’s images are in limited editions and printed with pigment inks on specialist fine art archival papers. 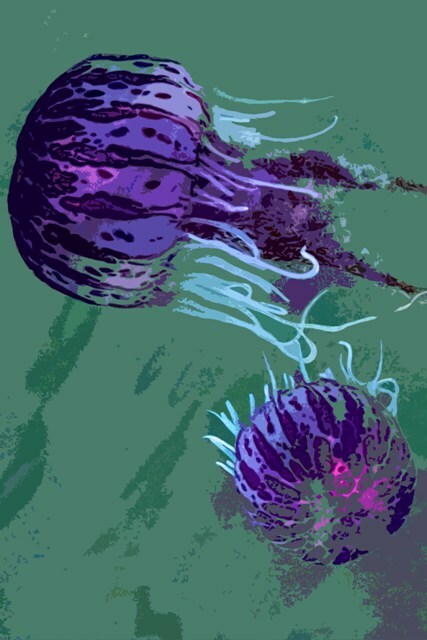 June also produces a unique range of greeting cards inspired by her travels and the local area of Pittwater under the banner Purple Basil Editions. 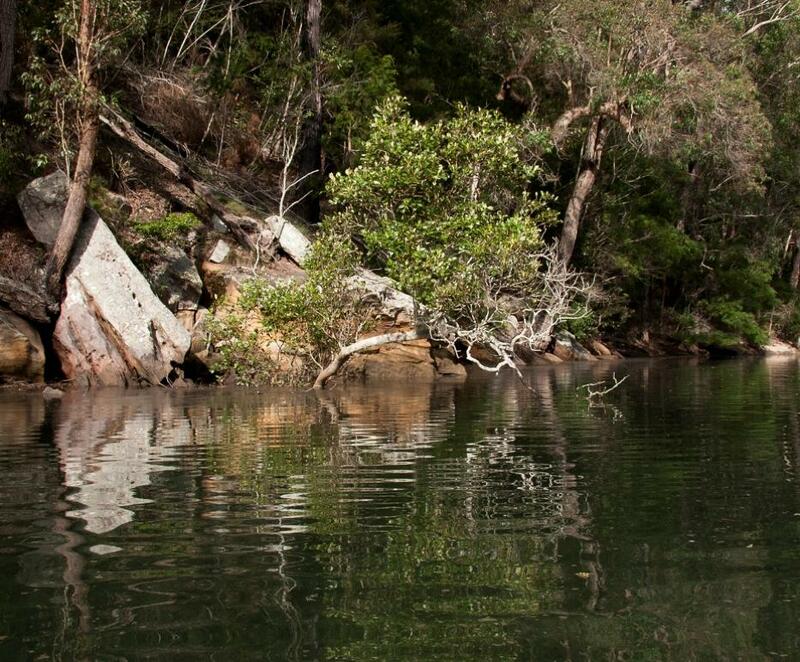 June is an inaugural member of the Pittwater Offshore Artist’s Community and has been an organiser and participant in its many successful shows, including the “OFFSHORE” Exhibition at Manly Art Gallery and Museum in September 2011. Her work has been published in Craft Arts International No 26 (April 1992) “Chair Up” Exhibition, “Water Access Only” (2006) and “A Pittwater Life” by Susan Duncan (Nov 2009). What is your favourite boat? And on water adventure? I have happy memories of the first boat my family owned, “Gipsy” a small half cabin timber boat with a Simplex motor with the big flywheel start. We kept it on a mooring at Goddard’s Wharf at Palm Beach. Many weekend family outings and holidays were spent on Pittwater, fishing and swimming, with pods of dolphins often accompanying us as we motored towards Lion Island. Mackeral Beach and Coasters were our favourite swimming spots, especially the Basin before it was netted off and we could take the boat in through the narrow channel on a good tide. In later years it was bigger boats and adventures round the Whitsunday Islands. What was it like working in London ? Working in London in the 70’s was fun and my first gallery job there was with the Craftsman Potters Society of Great Britain. The gallery was just behind Carnaby Street in Soho, so one was really close to the action. I had tried my hand at ceramics at Art School with Peter Rushforth so being surrounded by the wonderful work of potters was a pleasure and weekends were often spent visiting their studios and exploring the countryside in our gorgeous blue Fiat Cinquecento. After a three-month break travelling and camping across Europe I returned to London and worked in the British Crafts Centre in Covent Garden. The British craft movement was at its peak during the 1970s and there were many beautiful and creative objects to display and sell. I really enjoyed meeting all the artists and visitors to the gallery and being able to work in such a wonderfully creative environment. You are also a record keeper, documenting offshore histories and events. Could you share with us two of those that stand out or the one you recorded first ? I have usually had a camera in hand at most community events but I think the ones I have most enjoyed capturing have been The Island Players Theatre productions and in recent years the fabulous music spectaculars and concerts. The Rocky Horror Show was a stand-out with fabulous costumes and local residents showing undiscovered acting and singing talents. I’ve also documented other musical events. The Flaming Doghouse Band has regularly presented cover shows such as Blues Brothers and Pink Floyd and the most recent one The Beatles was just fabulous for old and new fans alike. It was particularly poignant, as it was the bass player Gordon Floyd’s last gig before his recent passing from cancer. Italy is my favourite destination in Europe and if there have been any bad experiences they are far outweighed by the good ones. It is had to pin down the best but I really love the southern regions – Puglia, Basilicata, Calabria, Campania. The Island of Procida off the coast of Naples is a favourite, but recent visits to Matera in Basilicata and the high plains of Abruzzo were wonderful too. The world is a wonderful place and I hope to be able to keep travelling, as there are still lots of places on my wish list. Your plans for the future; creations - travel ? I am off to Sicily in October firstly travelling with some friends from London and then joining Art Incontro Sicilia run by Lucia Parella for an 18 day programme of creative workshops and excursions exploring eastern Sicily (based In Syracusa) and Palermo through its written and visual culture. 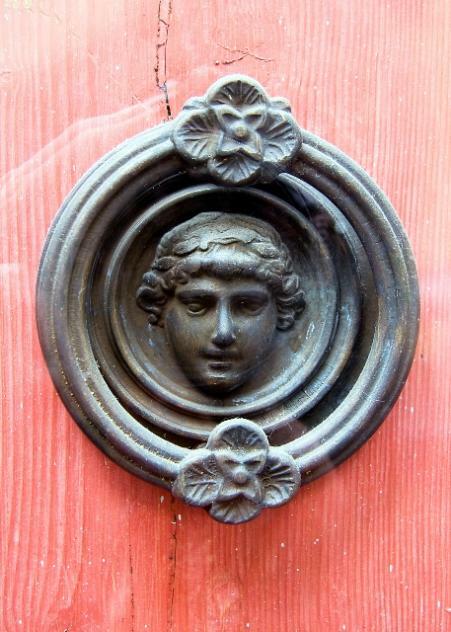 I have for over many years been fascinated by the hundreds of different doorknockers that adorn the doors of the countries I have visited in Europe and I have been documenting these photographically and researching their history. One day I will publish my collection of images in a book. During the course of following my passionate interest in this remarkable object I have had some wonderful experiences, meeting historians and curators in museums in New York, London, Prague, Berlin, Paris, Rouen and Venice where there are collections of these very creative sculptural objects. Over the years I have noticed that they are fast disappearing from their original doors, as they are either stolen or removed for sale to collectors and replaced by modern doorbells. 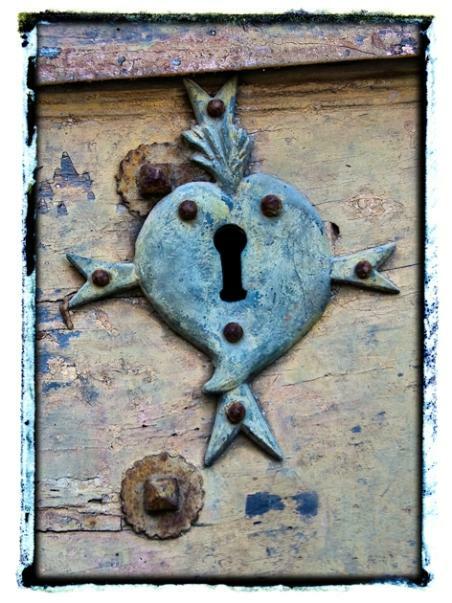 The many shapes and designs of doors and the decorative details of key-holes, locks and hinges, are also in my extensive collection of images. Where did your creative life begin; what was the spark? As a child I was always making things, and had fun making puppets and putting on shows for family. I still have a love of puppets and especially enjoy the traditional Sicilian puppet theatre, which I discovered on my travels. I always wanted to go to art school when I finished high school and this I was able to do for three years, following the design syllabus. Photography was not on offer so I have come back to that later. I always remember Hal Missingham telling me he took to the camera to create images because he was surrounded by other artists who were so much better than him with paint. I guess I follow that idea too. My maternal grandfather was a photographer in the early 1900’s in Germany and had a successful photographic studio there until WWII when it was destroyed during the bombing of Koblenz. One of my Uncles continued to practise after the war in Kassel when he was released from a Russian prisoner-of-war camp and sold his smuggled images of the camp to Stern magazine to re-establish his photographic business. My mother had left Germany in 1939 to marry a Scottish plantation manager in Malaya (he was killed in the fall of Singapore). She met my father here in Sydney and made Australia her home until her death in 2002. So perhaps photography is in my blood. An early morning kayak up Salvation creek when the tide is high and the only sounds are the calls of the hidden whip birds, the encore of the cicadas songs, then the splash of the paddle as it cuts through the green, crystal-clear water where rays and fish play. It’s another world. Copyright June Lahm, 2012. All Images by June Lahm, All Rights Reserved.